Spelling variations include: Abraham, Abram, Abrams, Abrahams and others. 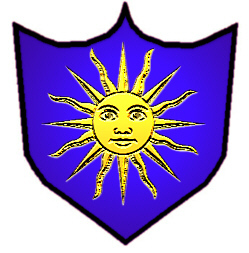 Coat of Arms: A sun in splendour on a blue shield. 1. From the Hebrew personal name Avraham, borne by a Biblical patriarch revered as the founding father of the Jewish people (Genesis 11–25), and by Muslims as founder of all the Semitic peoples, both Hebrew and Arab (compare Ibrahim). The name is explained in Genesis 17:5 as being derived from Hebrew av hamon goyim ‘father of a multitude of nations’. It was widely used as a personal name among Christians as well as Jews in the Middle Ages in diverse cultures from northern Europe to southern India. It is also found as a given name among Christians in India, and in the U.S. has come to be used as a family name among families from Kerala. 2. 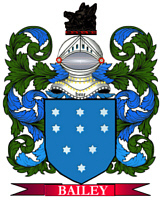 Irish: English name adopted as an equivalent of Gaelic Mac an Bhreitheamhan ‘son of the judge’. See McBroom. Scottish: probably a variant of MacBrayne, an Anglicized form of Gaelic Mac an Bhreitheamhan ‘son of the judge’, from breitheamh ‘judge’ (see Brain). In Ireland the same name was Anglicized as (Mc)Abraham.